HumTum: Fan-Fic Mahek Amit Kiss! Introductions will be made when i find enough I-F members to be a part of Hum Tum! if u want to be a part of Hum tum PM me! 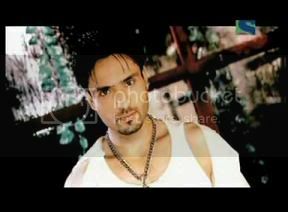 Angad Khanna: Angad is 21 yearz old! He is smart,handsome,cute,loving,sporty and very friendly! When he is angry,u don't wanna mess with him!He is very honest!He lovez both his sisters so much! He is A rockstar and he is Kripa's boy! Natasha (suganain):A lovle gal in india forumz!Natasha is 17 yearz old! She is and Kritika's Sister! Arpita (moondownstars): Arpita is a lovley, hot 22 yearz old girl in India-Forumz!She often tells josh what india-forumz is saying about him! She is ANGAD'S OLDER SISTER & JOSH's GF! Neelam (dadhich): A gal in India Forumz too! She is 19 yearz old! She is very loving,friendly, and loves to play with her brother, ANGAD.She is Angad'z younger sis! Josh (the eating machine): Josh is Angad'z best best best friend! They both are childhood friendz! Josh is 23 yearz old! He is a eating machine which loves chocolate! You will find him eating 50% of the day! He loves his girlfriend Arpita! He is very friendly and also a Rockstar! Esha(esha_oberoi): Esha is a lovley girl!She is 20 yearz old! Josh's sister is the best thing about her! Jenny: A gal in India Forums!Jen is 20 yearz old! She is loving,nice ( just not to Chipko) fun,and very sporty.She went to college with JinK! She is very rich. Shereen (hrithick_luvr): Angad and Kripa's best friend Shereen! A gal in India Forums! She is 21 yearz old and she went to the same college as Kripa!She loves tio help others and is scared of heights just like angad'z sisters!She is from Naintal like Kripa....currently in Mumbai! Lucky (lazy_boy): Lucky is 21 yearz old. He is friendly,honest, pretty much like angad! He is ANGAD's and JOSH's BEST FRIEND! they all are friendz since childhood! RANI is LUCKY's GIRLFRIEND! Rani (rabzi): Rani is a lovley 20 yearz old girl who is a fan of India-Forumz! she is LUCKY'S GIRLFRIEND! She loves Lucky and admires her sister Mahek! Mahek (QT143): Mahek is RANI's BIG SISTER! She is very nice and loving! She is 21 yearz old girl who visits India-Forumz too! Kripa: Kripa,a music lover! Kripa is a beautiful,hot,and cute girl who is 20 yearz old! She loves to learn music, and most of all classical music all she does is aaaaaaaaaaaaaaaayaaaaaayaaaayaaaa in the beginning!She is Angad's Love! Angad is her love! Nannu: Nannu is a lovley 19 yearz old gal in india-forumz! She loves her boyfriend Nomey! (Back on Demands couple ) She loves to go out on trips,outings,and shopping! She is just great,and best of all she is KRIPA'S COUZIN! Ria (~Angel~): Ahh...Ria...a lovley 19 yearz old beauty who loves India-Forumz. Kripa's Sister! Prithvi: Ugh...Chipko...Prithvi is a terrible 21 yearz old guy! He gets his eyebrows made! He loves his sister who is the total opposite of prithvi! Fariha (rosemehek): She visits India forumz and she is Prithvi's couzin! Fariha is 19 yearz old! Neha (armaans4ever): Adorable 20 yearz old gal who loves india-forumz!She is Prithvi's Sister! Pachu (bollygirl87): She is beautiful! Pachu is 22 yearz old! She is Chipko's Cousin! Nomey: Nomey is great! He is just the perfect man for NANNU! He is 21 yearz old! Aryan: Aryan is great! He is also 21 yearz old! Jink: Jink is great.He is 21 yearz old!Jink loves Cars & risks! Ejaz(i needed a boy): Ejaz is another guy! he is 21 yearz old! Naina,Damini,Dadi,ect... (old people) are same characters! Evee and Vibu will come in fan-fic later! josh, the eating machine. gud one!!! i will start as soon as i have enough ppl! evee and jenny can i add u guyz plz! sounds interesting plzz start soon!! awsome anusha! !when are u starting? serendipity. 16 5216 24 November 2008 at 8:17am by serendipity. ’~’HumTum’~’shivgauri - watch 2nd promo! !